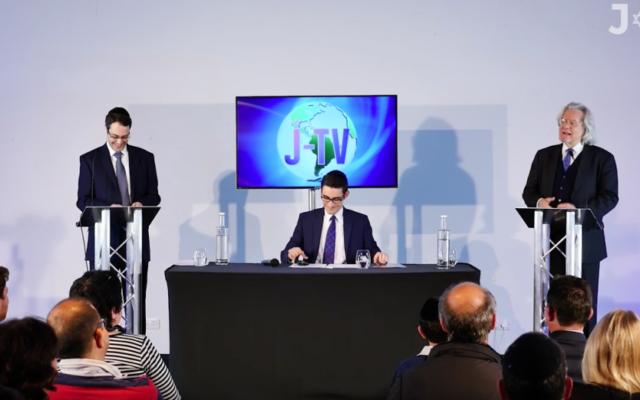 Their philosophical sparring was broadcast on the evening of Wednesday 25 May at J-TV’s London studios. 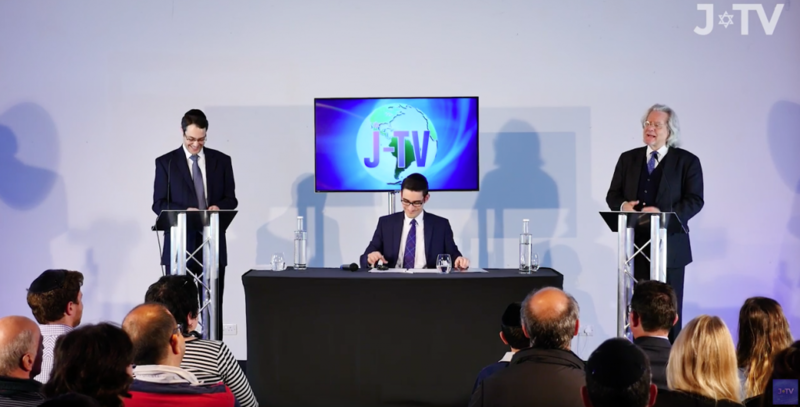 The YouTube channel launched three months ago and founder Oliver Anisfeld reports it has had some 183,000 views in recent weeks. Professor Anthony Grayling is Philosopher and Master of New College of the Humanities, whilst former Birkbeck student Rowe is new in post this year after taking over from long-time director Rabbi Naftali Schiff.